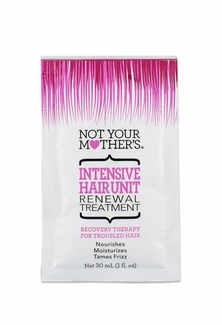 Home > Not Your Mother's > Not Your Mother's Intensive Hair Unit - Renewal Treatment 2oz. Do you hear the sirens? Has someone called CODE BLUE on your hair? Then it’s time for a trip to the emergency groom…I mean room. (*wink*) Intensive Hair Unit is infused with carrot root extract to assist in the repair of damaged, troubled hair, reviving lifeless hair back to its original healthy state. 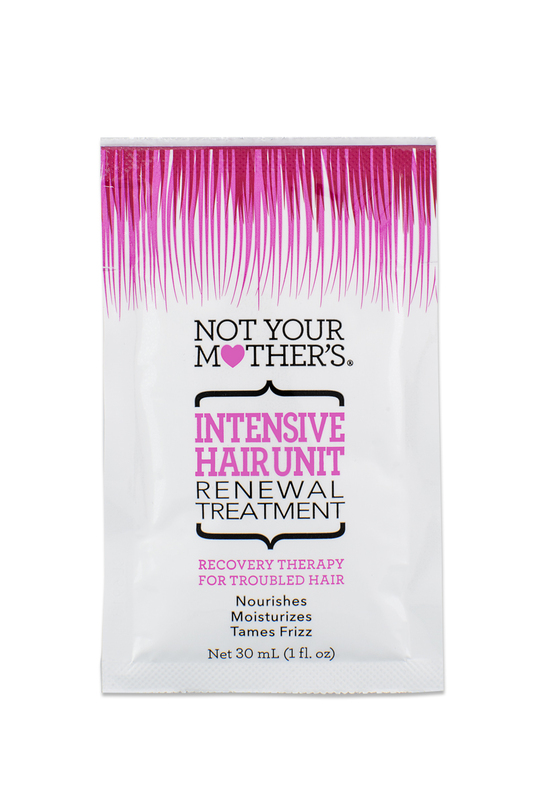 Doctor’s Orders: Use this premium, deep conditioning, moisturizing treatment once a week to give your hair a clean bill of health! Application: Apply a small amount in palms and work into wet hair that has been washed and well rinsed. Use sparingly near roots and more liberally towards ends. Leave for 3 to 5 minutes before rinsing. Please note: This item is a 1oz. SINGLE packet. If you would like to order an entire display of 12 packets, please click back to the Not Your Mother's tab and find item #: 13019D. If you would like to order a larger size of this item, please find item #: 13011 our 8oz. pump.